TORCH opened its doors in January 2013 as the only comprehensive homeless service in Anderson County, TN. Because there is no shelter in the county, TORCH operates the Housing First model. Efforts are made to find affordable, sustainable housing as quickly as possible. If extra financial assistance is needed after an address is established and a client qualifies an agreement may be made to assist for a predesigned amount and/or time. We call that plan “Shelter in the Future Home” and find it a much more cost effective way to assist those we house in reaching self- sufficiency. The first step in future success is establishing a permanent address. While looking for housing TORCH connects clients with other available resources and helps them overcome barriers in accessing those resources. We partner with other agencies in Anderson County to work together to assist our clients in the most efficient, productive manner. 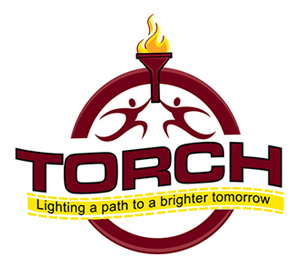 We are TORCH – Trinity Out-Reach Center of Hope – Lighting a Path to a Brighter Tomorrow. As each client reaches self-sufficiency we ask that client to encourage others reaching for the same goal – to pass the TORCH.